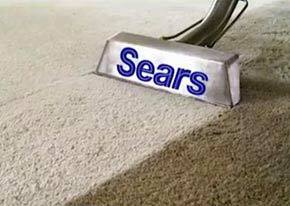 1/2 Off Carpet Cleaning from Sears Carpet Cleaning in Pittsburgh! $99 Value for Only $49.50! Voucher is valid for one $99 special. Includes choice of 2 rooms w/ free hallway or sofa and chair cleaning. Sears provides exceptional cleaning services for your home. Our trained, insured and background checked professionals will clean your carpets, upholstery, tile & grout, air ducts and dryer vents. Sears technicians use one of the most powerful and effective truck mounted cleaning systems on the market today, ensuring your satisfaction, guaranteed. Give us a call at (412) 821-5200. Our 2-step deep cleaning process is recommended by America's largest carpet manufacturer and has been awarded the Carpet & Rug Institute Platinum Seal of Approval for removing the most dirt from carpet. Upon arrival our technicians perform a walk-through to identify the problem and heavily trafficked areas. The 1st step in our process is to loosen the dirt by pre-treating with a heated special cleaning solution that is safe for kids & pets. Then we remove the cleaning solution and dirt with a pH balanced fiber rinse using our carpet cleaning wand and one of the most powerful truck mounted carpet cleaning systems on the market today - leaving carpets as clean as can be. $10 Service charge not included. 1 voucher valid per household.